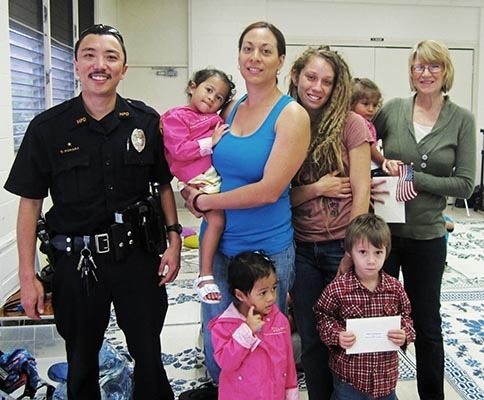 Officers Donovan Kohara and Malia Bohol (in blue) pose with the winning families at the Pāhoa site of Tutu and Me preschool. 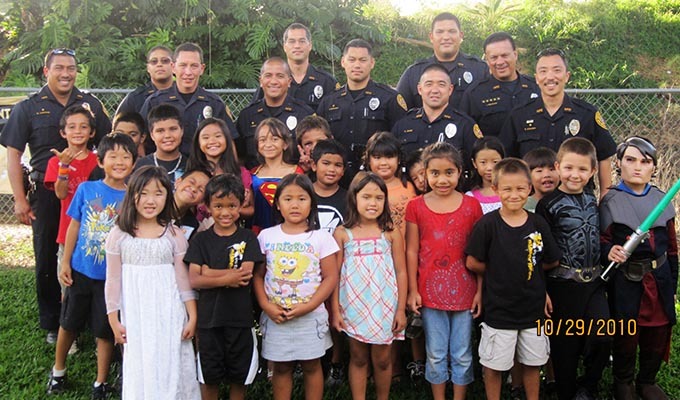 Officers Collin Pacheco, Donovan Kohara, Corey Hasegawa, Keith Simeona and Malia Bohol pose with the winning families at the preschool’s Kea’au site. Officers from the South Hilo Patrol A Watch pose with students from E.B. DeSilva Elementary School after passing out Halloween candy in October. Officers from the “A Watch” of South Hilo Patrol gave four families Thanksgiving dinners as part of a series of community service projects. 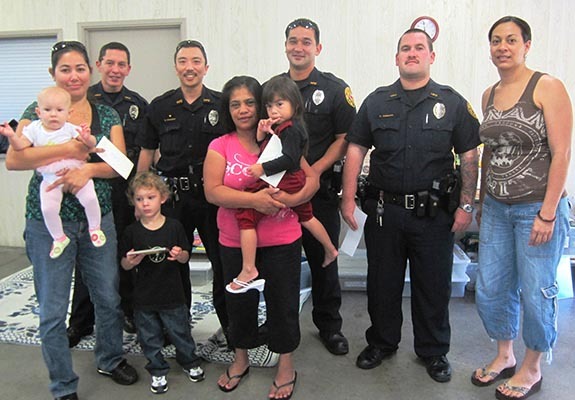 The officers contributed personal funds for the Thanksgiving dinners for the four families that have students attending the Tutu and Me traveling preschool, which has sites in Pāhoa and Kea’au. 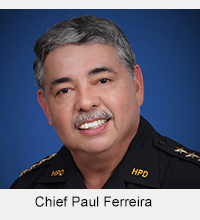 On Tuesday, November 16, the officers drew names for two families at the Pāhoa site. The next day, they drew names for two families at the Kea’au site. Each of the lucky families won gift certificates for pre-cooked holiday meals. 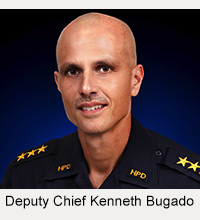 In October the same group of officers passed out Halloween candy at E.B. DeSilva Elementary School. Plans are in the works for a Christmas project.